In 2009, a group of local doctors and businessmen headed by Dr. Henry Tupas and Dr. Ramon Cejar, Jr., came together to initiate a Feasibility Study on the viability of putting up a new healthcare facility in Iloilo City. The study revealed that it is economically feasible to put up a facility yet it will cost a lot of money. In response to this challenge, the group decided to incorporate in 2011 as Panay Medical Ventures, Inc. (PMVI). This is to give itself a legal personality as the group started to look for potential strategic partners to help realize the project. Dr. Henry Tupas became PMVI’s first President and CEO. In 2012, PMVI signed a joint venture agreement with Mercado General Hospital, Inc. headed by its President and CEO, Dr. Edwin Mercado, to put up the University Physicians Medical Center (UPMC) Iloilo. UPMC Iloilo was envisioned to be a modern private healthcare facility with world-class amenities and services at par with major medical centers in Cebu, Manila, and other cities in Southeast Asia. The facility was designed with focus on specialized healthcare services – built around a specialty group practice outpatient clinic model and complemented by a fully digital laboratory, advanced imaging services, and an integrated computerized hospital information system. PMVI reorganized and chose Dr. Mercado as the new Chairman and CEO, Dr. Tupas as President and COO, and Dr. Ramon Cejar as Medical Director. To facilitate funding, the implementation of the project was divided into two phases: Phase I involved the building of a 50-bed specialty hospital with an ambulatory surgical center. Meanwhile, Phase II included the construction of another building adjacent to the Phase I structure, which would elevate it to a 150-bed general hospital. Construction of Phase I started during the early part of 2013 and will soon be completed in October 2013. The Phase II component is scheduled to start by 2017. Recently, MGHI partnered with Ayala Land, Inc. to establish the QualiMed Health Network. QualiMed is envisioned to be a nationwide network of healthcare facilities composed of mall-based clinics, ambulatory surgery centers, and full-service hospitals located in various parts of the country. 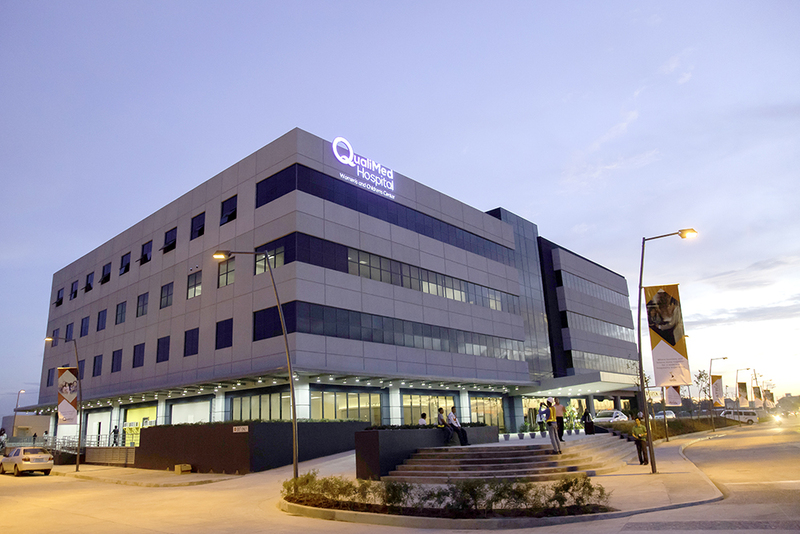 As a member of this network, University Physicians Medical Center Iloilo was rebranded as QualiMed Hospital. QualiMed Hospital is the product of a strategic partnership between MGHI and PMVI. It is now part of the QualiMed Health Network, which is operated and owned by MGHI and Ayala Land, Inc. (ALI). Promising “Alagang Abot-Kaya”, QualiMed intends to cater to the needs of the broad C market. The QualiMed Health Network is devoted to fulfilling its commitment to the 3As of healthcare – Accessibility (ease of financial and physical access), Affordability (price predictability and competitiveness), and Appropriateness (quality service and genuine care). The Women’s and Children’s Center of QualiMed Hospital in Iloilo City is envisioned as the upcoming regional center for women’s health, obstetrical-gynecological, and pediatric services in the Panay area and the Western Visayas region. It is tailor-fit to cater to the unique healthcare needs of mothers, daughters, sisters, and children in this part of the country. The center is focused on providing quality specialized healthcare services, with world-class amenities at par with any of the major medical centers in Cebu, Manila, and other cities in Southeast Asia. It is built around a specialty group practice outpatient clinic model, and is complemented by a fully digital laboratory and advanced imaging services. The Women’s and Children Center is dedicated to the inpatient and outpatient treatment and care of women and children, which is being realized through the following services: Digital Laboratory and Ancillary Services (Routine Laboratory and Microscopy, Hematology, Biochemisty, Serology and Bacteriogy, Histopathology, and Newborn Screening); Advanced Diagnostic Imaging Services (1.5 Tesla MRI, 16-Slice CT Scan, General and Endocavitational Ultrasound, Digital X-Ray and Fluoroscopy, and Dental X-Ray); Heart Station (2D Echo and Vascular Ultrasound, Stress Test, Holter, ECG, and Transesophageal ECG); Women’s Center (Central Bone Densitometric Scan, Obstetric, Gynecologic and Breast Ultrasound, and Digital Mammogram); Infertility and Reproductive Center; Child Development and Adolescent Center; Emergency Room and Ambulance Services; High Risk Pregnancy and Intensive Care Unit; Birthing Center with Birthing Suites; Nursery and Neonatal Intensive Care Unit; Central Supply and Pharmacy; and Admission Suites. QualiMed Hospital in Iloilo City will also house the QualiMed Surgery Center, which will offer Minor and Major Surgical Procedures, where patients can walk home the same day after a short period of recovery. The surgery center will offer outpatient and minimally invasive surgical procedures such as laparoscopy, arthroscopy, and endoscopy, among others. 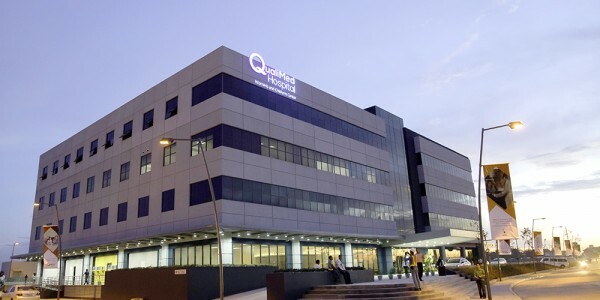 Specifically, the QualiMed Surgery Center will offer a gamut of advanced services including Group Practice Outpatient Clinics, Dialysis and IV Therapy Center, Pain Management Center, Occupational and Industrial Medicine Center, Comprehensive Rehabilitation Medicine Center, Orthopedic Surgery and Sports Medicine Center, Integrated Eye Diagnostic and Treatment Center, Laparoscopic and Endoscopic Surgery, Aesthetic and Reconstructive Surgery, and Urology and Lithotripsy Center.